Tempur-Pedic and I partnered up recently so I could not only give you a review of the Tempur-Contour Signature mattress and Advanced Ergo adjustable base, but also hold a contest for a reader to win the same. It was tough picking these five finalists from the 60-plus entries! I hope you take the time to read each of the five essays on how a good night’s sleep impacts finances and vote for your favorite. A good night’s sleep with Tempur-Pedic impact my finances in a multiple number of ways; namely it would aid in my overall productivity. This would extend into all facets of my life. Currently, I do not get restful sleep due to my mattress. I sleep in a large indent that leaves my tired in the morning and achy. The first way it would help would be my productivity at work. My boss actually remarked this week that I seemed tired. I had to admit it was true and this clearly impacts my productivity at work and if I am not productive I most certainly would not be able to get any promotions or raises. Getting fully rested would allow me to focus on my work and make a good name for myself. Financially; raises and promotions are much more likely to happen. In the immediate future I would be able to save money used for food. As it is I am worn out at the end of the day and absolutely do not feel like cooking. As a result I usually stop and get unhealthy food from a drive-thru. If I were better rested I would be able to prepare and cook my own dinners. This would save a lot of money purchasing my own groceries as well as potentially save me from medical bills that could arise from eating unhealthy foods day after day. This leads me to another way in which it can save me money; my general health. Not getting rest and unhealthy eating can cause medical issues that would cost money to address. By aiding health and avoiding these issues I could save a lifetime of medical expenses and that is financially and personally priceless. Cats have always understood the importance of adequate sleep. People have a harder time getting enough sleep than cats do, since they usually have jobs and other obligations that prevent them from taking cat naps whenever they feel the need. Plus, cats are small and can twist like pretzels and can be comfortable just about anywhere, unlike people. My name is Emily. I’m a Bombay cat. My parents have a Number bed, and my mom keeps her number kind of low. When I’m lying on the bed, napping and minding my own business, and she sits on the edge of the bed to put her shoes on, the shift of air sends me flying. I’m sure you’ve heard of a catapault; well this is the literal version! Mom says that the air bed isn’t the best kind of bed for her. In fact, she tosses and turns quite a bit in the night, and I have to make sure to keep enough of a distance from her that I won’t get squished. Mom says that when she gets a good night’s sleep, she is so much more productive when she’s working. I know enough about economics to know that translates to more money to buy treats for me! And that is how I think that sleeping on a Tempur-Pedic bed would impact our finances. Please vote for my Mom. Her name is Leslie. Thank you for your time. I remember the night like it was yesterday. I was in the middle of grad school finals week, struggling to find enough time to sleep as it was, when I found myself lying awake in bed. During one of the limited – and crucial – periods of rest I could manage, my horrible mattress seemed somehow worse than ever; I was so uncomfortable, I simply COULD NOT fall asleep. Cursing the horrible mattress gods who had saddled me with such an abomination of bed-itude, I hauled myself up and headed over to the couch for some late-night TV and maybe – just maybe – a more sleep-inducing environment. Three hours, countless prayers and an entire bag of potato chips later, I was still awake. I channel surfed with glazed eyes until something caught my attention: a smiling woman (she sure must have gotten her 8 hours of sleep last night), holding up some kind of cooking device as if it had just performed a truly miraculous feat. (But what could it have done??) I watched, intrigued, as this beaming woman successfully demonstrated again the amazing chopping capabilities of this one tiny apparatus. Without much more than a gentle push from the woman’s perfectly manicured hand, this Chop-o-Slicer 3000 had easily cut through scores of fruits and vegetables – and all with NO MESS! It was settled; I had to have it. After I had ordered all four sizes of the Chop-o-Slicer 3000 (and a free gift!!) – a value of something like $400 that I managed to get all for the low-low price of $29.95 plus shipping and handling – it was as if the floodgates had opened: I suddenly became The Infomercial Fanatic. If you want to know a good way to mess up your finances, I can tell you with some degree of certitude that purchasing large quantities of infomercial products, particularly while sleep-deprived, will do the trick. I learned this lesson that hard way — that is, after finding myself approximately 10 business days later with the food chopper, a new set of food storage containers, a caulking kit, a balancing exercise ball, and some kind of magical broom. I was lucky to have survived the rest of finals week relatively unscathed, financially speaking. Though still struggling with an uncomfortable mattress, I somehow managed to catch a few hours of sleep and thus push aside my temporary, infomercial-craving delirium. What the experience taught me, however, is that finances and poor sleep are, so to speak, terrible bedfellows. Having a Tempur-Pedic mattress undoubtedly would have saved me a great deal of stress and money during that finals week, because it undoubtedly would have assured me a comfortable, supportive, and restful night of sleep. It hasn’t been very long, relatively speaking, since my finals week finance-bender; I still sleep on an uncomfortable mattress, and it still leads to poor sleep, occasional body aches, and inevitably bad financial decisions every so often. A Tempur-Pedic bed today would guarantee that, in times of elevated stress, my body – and credit card – would get the rest that they both so desperately need. And THAT, despite many infomercials’ claims to the contrary, would truly be the most amazing, incredible, fantastic, and miraculous feat ever. Imagine tossing and turning throughout the night when you know you need a good night’s sleep. Maybe you are preparing for a big business meeting and need to be at your personal best. Maybe you are gearing up for a job hunt and want to look and feel your best. Maybe you are a stay at home parent who needs energy to keep up with your children, maximizing your productivity while minimizing unnecessary distractions. What would you do? A good night’s sleep with Tempur-Pedic positively impacts your day, and many good nights’ sleep positively impacts your life. As a stay at home mom, I am looking for various ways to save money and make money to help my family’s financial situation. A lot of the quick fixes we can find in society are also pricey fixes. For example, if I’m too tired to cook, we go out to eat, which adds up very quickly. If I am too tired to exercise, my health and weight both suffer. As a result, added expenses from caffeinated beverages to gas to medical costs increase. Contrast that to when I have had a good night’s sleep. I awake in the morning with vigor in my step. I am able to take time that I might otherwise spend dragging along or want to spend napping and instead look for quick jobs I can do for extra money. I can exercise, giving myself more energy. Making this positive decision helps me make better choices in other areas, including being productive, eating healthier, avoiding emotional eating or shopping, and so on. When tossing and turning, sleep debt or sleep deficit can set us back from our financial goals. As a result of this cumulative effect of not getting enough sleep, mental and/or physical fatigue may occur. We may not act our best at work or in the home, and those deficiencies are visible to others. 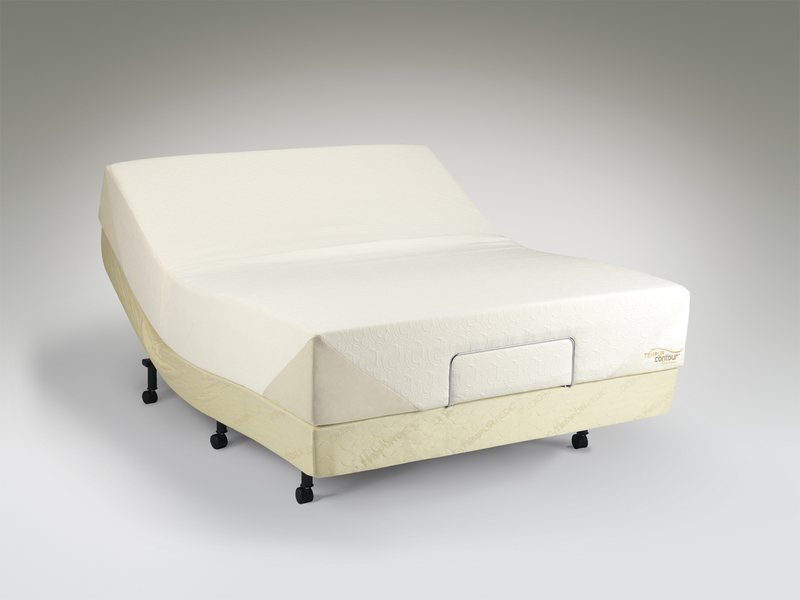 A good night’s sleep starts with a good mattress, so Tempur-Pedic is a great choice. Though seemingly different topics, sleep and finance are mutually reliant on each other, wherein the prosperity of one gives advantage to the other. For this reason, a good night’s sleep with Tempur-Pedic would present me with a greater likelihood of positive financial growth. Simple as that, right? Not quite. Sleeping on the best bed does not simply make me a good sleeper; just as a painter using the best brush, does not make him a good painter. It is vital for one to understand how to paint, or in this case how to sleep, before such a tool can be used to it’s greatest potential. I always thought I was a good sleeper up until a few months ago. It started with the morning haze that makes you want to go back to sleep, yet going back to an uncomfortable bed is unthinkable. In my sleepless mornings, I gravitated to the nightlight of the restless, where I would wander the Internet until it was time to wake up. One fateful day, I found myself Googling “”healthy sleep”” or some derivative there of, and the flood gates of knowledge burst open. I read sleep tip, after blog, after article, and learned how much being a good sleeper had to do with lifestyle. I was inspired to make changes in my own life, and today I no longer drink coffee, I exercise daily (but not too close to bedtime), I strive for a full nine hours of rest, I don’t stay up late on the weekends, and I even changed my sleep cycle incrementally to become a morning person. These changes helped, but I soon learned that it doesn’t matter how many positive life choices you make, if you’re a good painter and have a poor quality brush, then you are going to have a hard time painting. So, I started saving my pennies for a new mattress. Ever since my friends got their Tempur-Pedic, and I felt the difference, I knew I wouldn’t have to look much further. The way the TEMPUR material conforms to your body, you’d think the bed was made just for you. As I laid on theirs, I felt myself become weightless and supported at the same time. I had planned on the upcoming Labor Day sale, but money has a tendency of going out quicker than it comes in. After some recent car repairs, I am now back to square one. I guess first and foremost a good night’s sleep with Tempur-Pedic would keep me out of debt. Just kidding… well not really. Jokes aside though, I learned a lot about the positive financial benefits of a good night’s sleep. I would have less medical expenses over the next 20 years. As a result of the Tempur-Pedic 20 year limited warranty, I would have a good night’s sleep each and every night for quite some time. Sleep like that helps the body make repairs, strengthens the immune system, improves blood pressure, reduces stress, reduces inflammation, and can even help you live longer. I would spend less on cosmetics. Since good sleep generates and rejuvenates skins cells, my skin would have a better appearance and I wouldn’t feel the need to use as much makeup. I would likely earn a higher salary due to increased performance. With sleep linked to improved creativity and problem-solving skills, my design career would flourish. I would not incur final expenses too early in life. Considering that sleep deprivation is the leading cause of single off-road fatalities, driving on the highway regularly would have put me at risk. However, with a good night’s sleep I would be I would be alert and alive. I would save money on clothing and expensive fad diets. Since dieters who are rested typically lose more weight, I would not need to diet as much. I would not have to pay a psychologist. Good quality sleep lowers the likelihood of becoming depressed, and therefore I wouldn’t need to seek counsel. I would not waste money correcting years of issues from sleeping on a bad mattress. I am young enough for the positive mental and physical benefits of a good night’s sleep to stop problems before they start. There is no doubt that I have the discipline, knowledge, and passion to be a good sleeper. Just as good painter can create the most priceless art with the right tools, I can only imagine the potential of my future with the most highly recommended bed in America. Now that you’ve read the selections, please vote for your favorite using the form below. Only one vote per computer is allowed. The polls close at midnight, September 7th. The person with the most votes will be announced after confirmation. Good luck to all the finalists! What are the voting guidelines? How often can we vote? I updated the post to include that you can vote once. Thanks for asking! Sailau, you have to use the survey form to vote. Thanks! I vote for Entry 1 by Jacob because it simply reflects the reality about the productivity of a working person. For me it is concise but it really got the point of the relationship between having a good night sleep and obtaining good finances. Can I only vote once?! I love 3 of them and since I have a soft spot for kids, I had to vote for Emily who wrote for her mom. But I also loved two of the other letters. It is hard to choose, but to keep ballot stuffing at bay the votes are limited to one per IP address. In your blog post you indicate one vote per computer. I took the liberty to check on Survey Monkey to find out what that meant. You see I am a Office Manager who works at several locations. Before I asked my employees to support one of the finalists, I wanted to make sure we were clear since one vote per PC vs one per IP address is very different. Based on your response, I asked all my employees to support one particular individual. Their votes would be through one router at each business office location because they use a Static IP address for each location. This would hold true for 3 locations of approximately 40 employees each. While I am sure they did not all vote, it is NOT fair that these individual votes would not count simply because you changed the rules. I did not ask everyone to vote from their home pc or phone because I thought we were very clear. One vote per IP is very different, and if you intended this to be the case, it should have been clear up front and not at a day and a half into the contest. I believe the only fair thing to do would be to include all votes up until your comment regarding the IP address at 8/30/[email protected] 11:52am and then one vote per IP address thereafter. Please understand IP address is unique to the router which pcâ€™s are utilizing vs a MAC address which would indicate individual computers. Please make your rules more clear and indicate to us how you intend to handle this. I believe my suggestion is the only fair way to go, since trying to get the same voters to vote again simply wouldnâ€™t be fair at this point! Thank you! The survey options haven’t changed since voting opened. The survey option I have on in surveymonkey states “allow only one response per computer.” Everyone is getting votes under the same rules. I like this novel approach. Thanks for the opportunity to vote! I appreciate you voting. I can’t wait to see who’s going to win the Tempur-Pedic! Will there be any status updates during the voting period to show the rank of each entry? I vote for #3 – Annie T.
Only votes entered in the survey form will count. I vote for #3 â€“ Annie T.